There’s a reason Groupon rejected Google’s offer of $6 billion dollars, and now we know why. 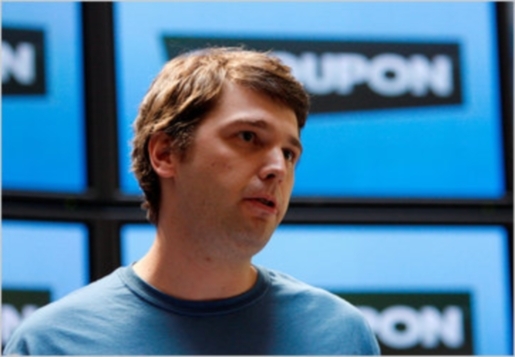 After securing nearly $1 billion dollars in funding, Groupon founder Andrew Mason (seen above) is preparing to take his company public, according to sources. Groupon is valued at nearly $15 billion dollars by investors, and that looks to be a conservative estimate considering Groupon has expanded both in terms of cities it serves, staff it employs, and profits it makes–Groupon employs 3100 people, has 51 million users worldwide, and has an annual revenue of over $1 billion dollars. If Google wants to buy Groupon, they’d better up their offer and quickly. I don’t see this company staying private much longer, and this is definitely the kind of business Google wants to be in going forward. Maybe if Google offered Mason $15 billion dollars cash, he’d take a second look at their offer before risking the waters of the stock market.